Dr. Gordon West is enthusiastic about the prevention of cavities, which is the foundation for a healthy and beautiful smile. Preventative dentistry – brushing, flossing, and regular dental cleanings with a dental hygienist – are essential for keeping your smile bright and free of cavities. There are some places, however, where enamel degeneration can occur even with dedicated oral hygiene. The very back of the mouth, where the premolars and molars are, is the most problematic area to brush and floss. Deep pits in molars and spaces between teeth are the perfect environment for tooth decay to flourish. Food and bacteria that is lodged in pits of molars and spaces between teeth create acid that has direct contact with tooth enamel and immediately goes to work. 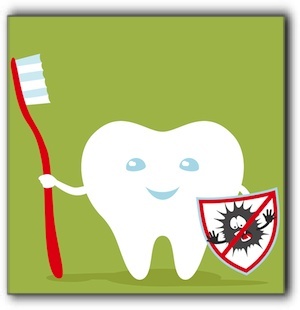 While brushing frequently is vital, an additional safeguard against cavities is the application of dental sealants. Dental sealants are a plastic barrier that Dr. West can apply. The sealants are placed over the top of each tooth, to prohibit bacteria and plaque having direct contact with the tooth. Many Lafayette parents obtain sealants for their children and teens, and many adults in the Boulder area are having them applied to help fight cavities and protect enamel. After sealants are applied, they will be examined at each visit and reapplied as required. Are they cost effective? Sealants are relatively inexpensive initially and downright cheap when you consider the cost of filling cavities and restorative services that may be required in the future. Sealants may be the best investment you ever make in your child’s smile. Eat a diet with plenty of fruit, vegetables, legumes, whole grains, and low fat protein sources. People all over the Boulder area trust Gordon West DDS, Cosmetic & General Dentistry in Lafayette for their family’s dental care. Dr. West, DDS, specializes in sedation dentistry, prepless veneers and dental crowns. Call today for an appointment at 720-862-3630 and trust the state-of-the-art dental care in a comfortable environment team at Gordon West DDS, Cosmetic & General Dentistry to help keep you smiling.